Unity 4.6 has a new added feature UI in it. Using Unity UI we can manage our game User Interface. We don’t need to use external tool like NGUI. Using Rect Transform tool, we can manage scaling, position and rotation of UI elements and Pivot tool manages pivot point [center point] of UI elements. Canvas is the parent component of all the UI elements. When you create any component of UI, it automatically creates One Canvas and also EventSystem.canvas has another canvas. Panel Components are used for grouping of components. In the Panel we can manage a lot of UI components. Buttons are used for user interaction with our game. Using Image control we can set Menu Background, Game Logo, Button Image etc. Row Image Displays non-interactive image to users. Row Image displays any texture. Slider controls are used to control volume, zooming map, progress bar etc. For Creating On-Off type Button. For Getting Input from user. Above image shows how to create a UIElement. If you create any UIElement, it automatically creates Canvas and EventSystem Object. I have taken one panel for menu background and one sprite image to setup a Menu Background. I have a sprite image for background so I just need to drag-drop onto panel background. If you don’t have an image then externally import the sprite that will show you in next image. In the above image I have shown how to setup panel and set color or sprite image. In the next image I am going to show how to import new assets and sprite image. Now Add GamePlayer to Menu Scene. You can set Anchor related to its parent. Unity provides many default anchors to manage UI Element. I have one script which is attached with UIManagerScript and has three public functions. Now I am going to attach this function to specific buttons. My menu buttons are ready to handle the users click. On button’s click event I can perform button related task. 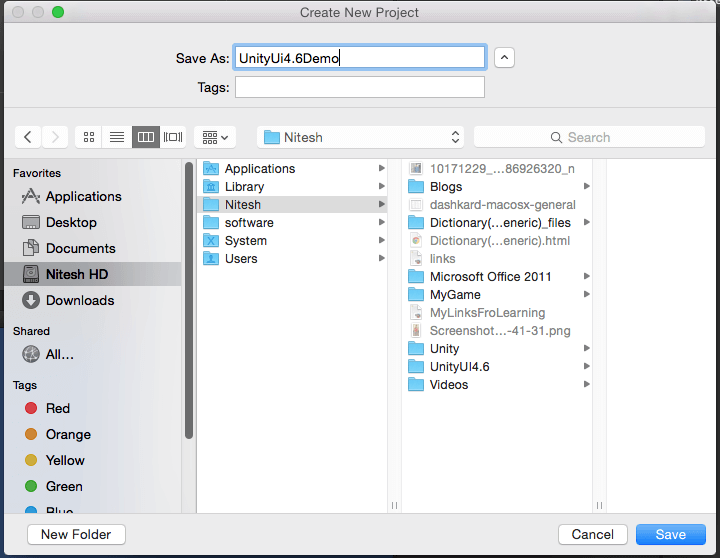 I hope you find this blog very helpful while working with Unity UI 4.6. Let me know in comment if you have any questions regarding Unity. I will reply you ASAP.